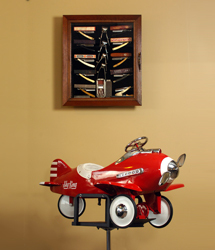 We are very family friendly and try to encourage our youngest guests to relax with cartoons, animal crackers and a fun airplane to sit in. 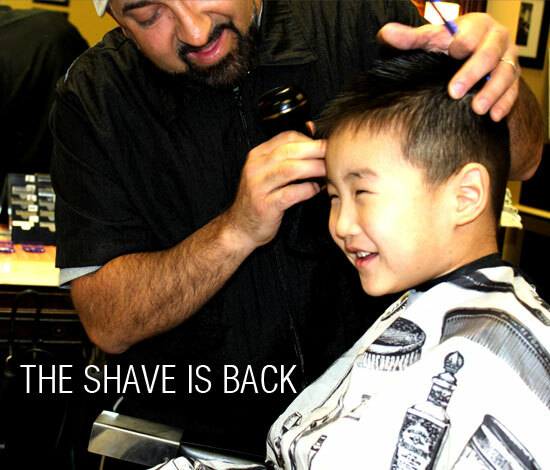 We do our best to keep your kids in style and looking their best. 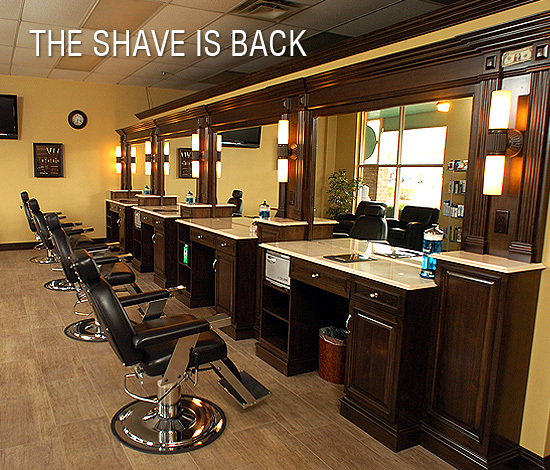 We are committed to great haircuts throughout your life. 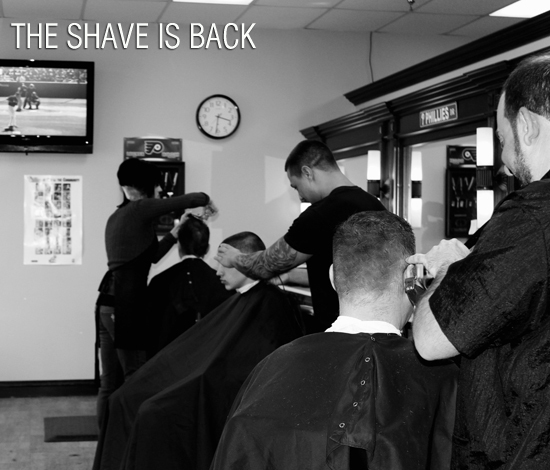 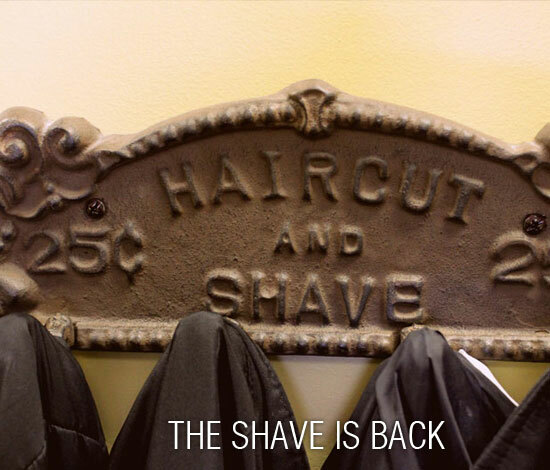 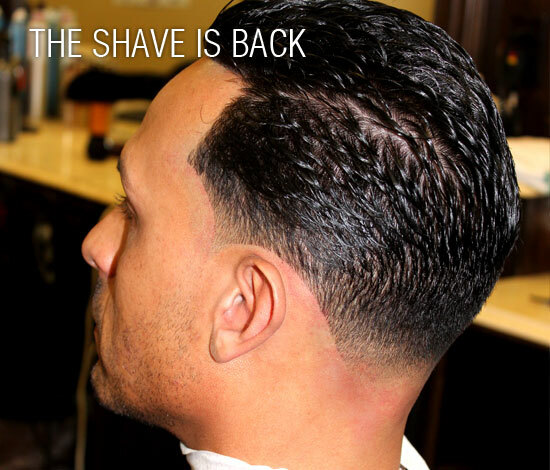 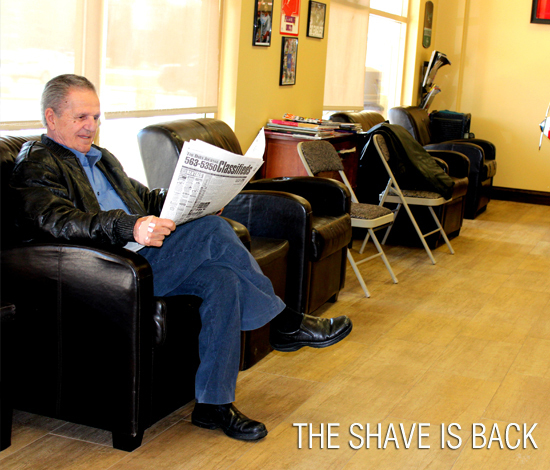 All Haircuts include a complimentary Hot Lather, Straight Razor, Neck Shave with a Hot Towel finish. 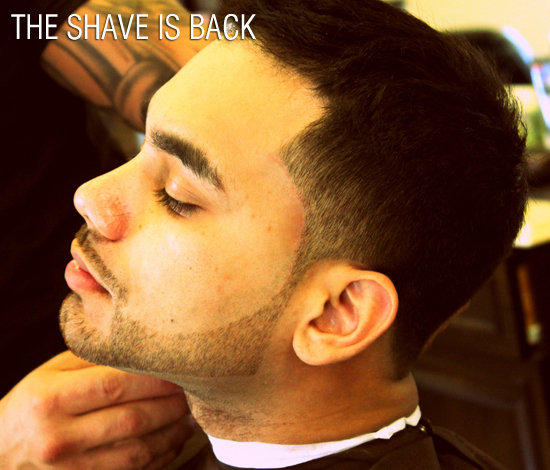 Professional Barber Shave using hot & Cold Towels, Essential Oils, Warm Cream Lather and Moisturizing Balm. 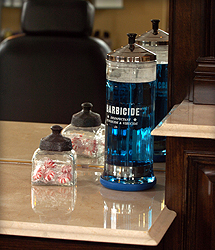 Above Services are done in our adjoining salon.